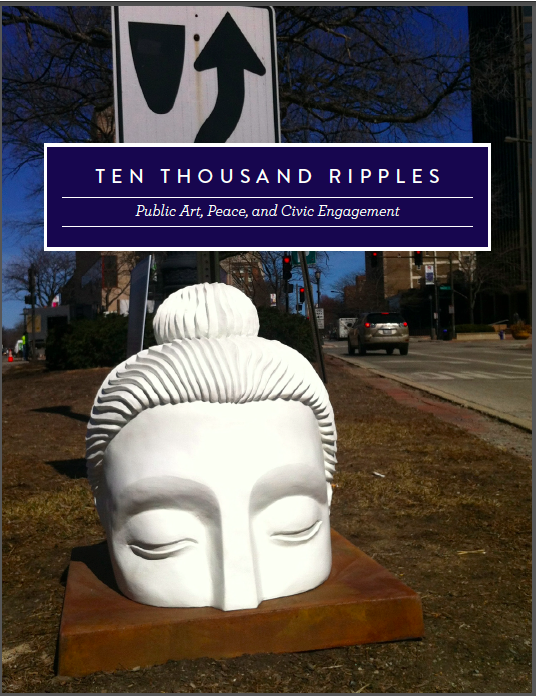 Ten Thousand Ripples (TTR) is a multi-platform public arts project, undertaken in collaboration with Changing Worlds, the lead arts organization and cultural and community organizations from the city of Chicago. 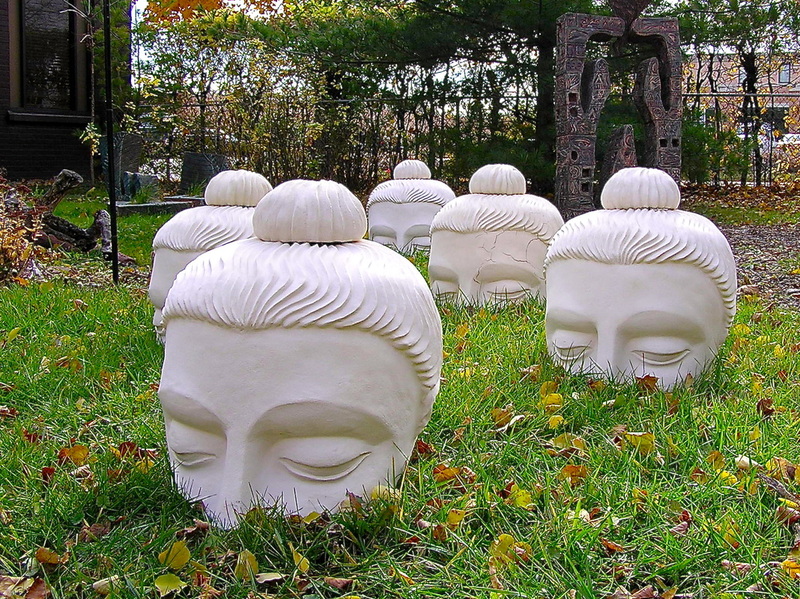 At the center of ten Thousand Ripples is the creation of one hundred fiberglass Buddha sculptures designed by artist Indira Freitas Johnson that are installed in sites chosen by ten host Chicago area community organizations. 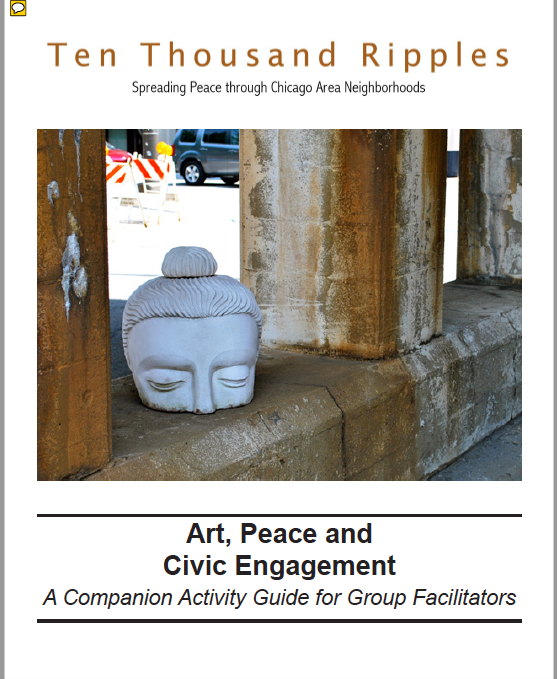 The goal of TTR was to provide the general community with an intense and meaningful public art experience outside of traditional art venues and in doing so act as a catalyst for community conversations and interactions about peace and nonviolence. Sites include parks, public plazas, alleys, libraries, building lobbies, and abandoned lots. The idea for TTR was formed over five years ago, when artist Indira Johnson exhibited an installation of emerging Buddha sculptures at the Chicago Cultural Center. She noticed visitors contemplating the sculptures—many even told her that they felt a sense of peace. 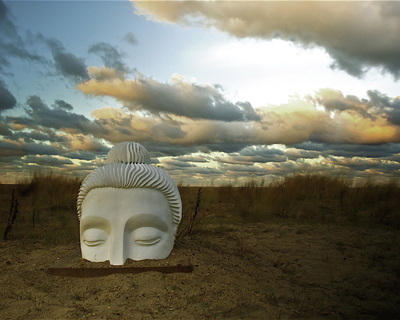 For Johnson, who had used the emerging Buddha image for over a decade as a symbol of peace and self-realization, this response resonated. She wondered what reaction the sculptures would provoke if they were located in public spaces, like storefronts or abandoned lots. This thought led to the development of TTR. 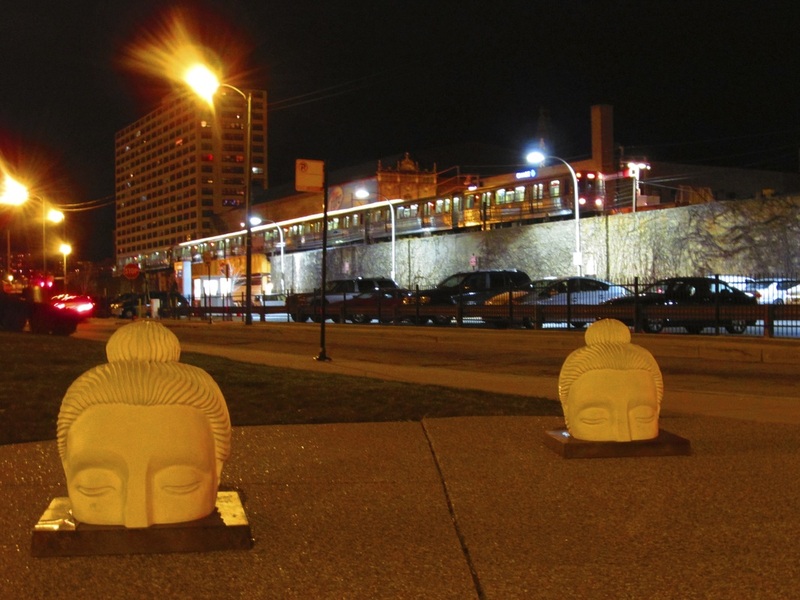 In 2010, a leading grant from the Richard H. Driehaus Foundation helped seed the project’s development and launch a planning process to explore how this inspiring sculpture could impact public spaces and communities. 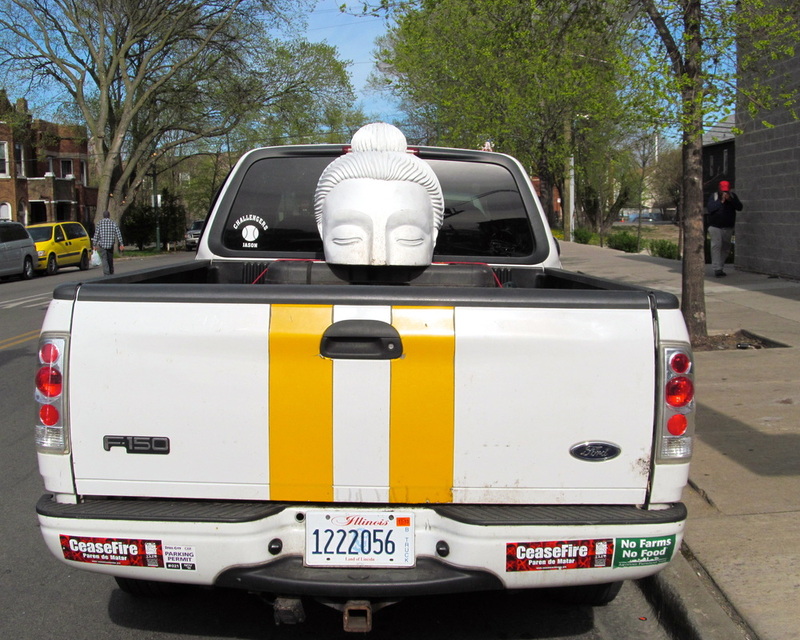 While the image of the Buddha is a symbol of peace for Johnson, it is a surprising and sometimes provocative one for others, especially when seen on city streets. Early public engagement was of the utmost importance. The planning process began with Johnson inviting leaders from arts, social service, community, and educational institutions to form an Advisory Council to help shape the TTR project.. In 2011, Changing Worlds partnered with Johnson to serve as the project’s lead agency. From the onset, a central goal of the initiative was to bring public art to neighborhoods across the city. 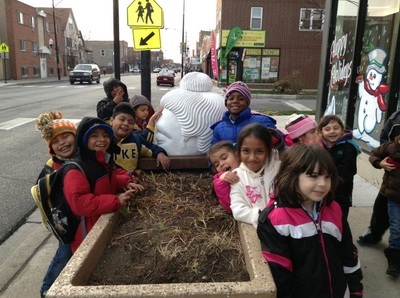 As the project began to move forward, nine Chicago-area neighborhoods stepped up to take part, from South Chicago on the far south side to Evanston Township and Rogers Park on Chicago’s northernmost border. 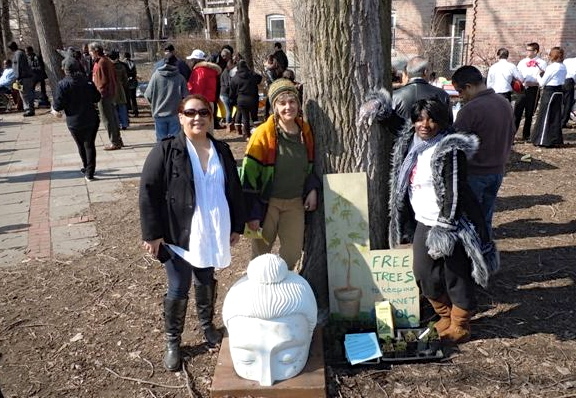 As community partnerships were solidified, TTR transitioned from centralized planning to community-based planning and engagement Over the period of three to four months, hundreds of residents were engaged in brainstorming sessions, community forums, and community arts planning. The process transformed everyday citizens into ambassadors of peace, arts, and culture. 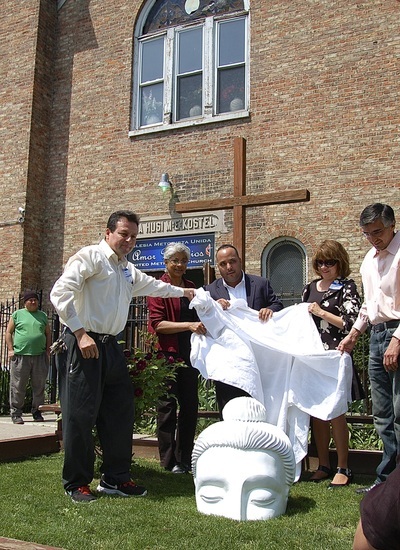 Each neighborhood received ten sculptures, which they installed in sites chosen by their residents. From the picturesque Loyola Dunes on the North Side to urban gardens and lots on the South and West Sides of Chicago, the installations were as varied as the communities we served. 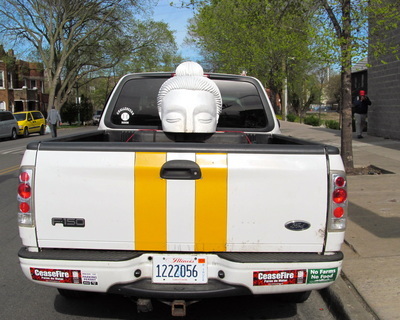 Despite these differences, the common element was using the image as a creative catalyst to bring people together to engage in conversations about contemporary social issues, promote peace, ignite new ideas for artistic and community programming, and coalesce entities that would not have otherwise come together. 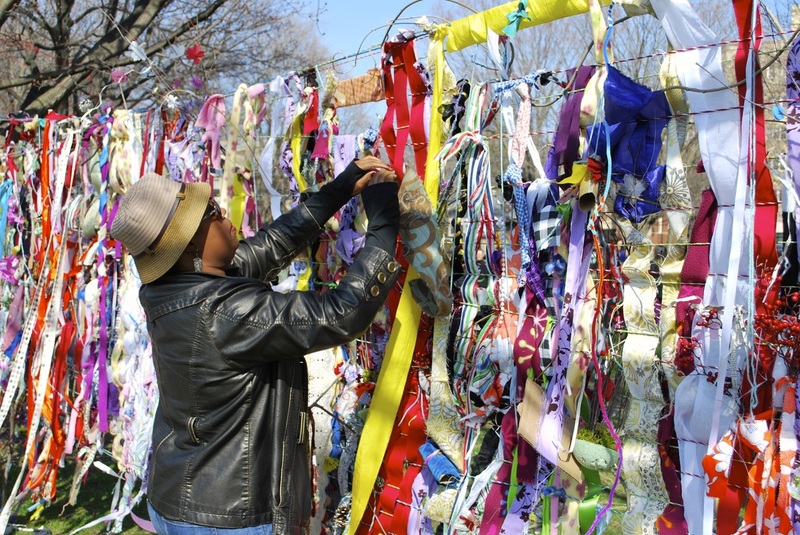 A project that started as the idea of one inspiring artist has shaped the landscapes of numerous communities, created new artistic programming for thousands of residents, reached over 300,000 visitors from around the world on social media, and sparked a lasting ripple effect. The TTR project highlights the power of the arts to transform public spaces, communities, and lives.